Particularly this activist actress… Kerry Washington. Kerry Washington wants to see black journalists represented in the CBS News team’s coverage of the 2020 election. The former Scandal actress took to Twitter to voice her frustration with the network, which recently announced its lineup of reporters & producers that will cover the campaign trail. 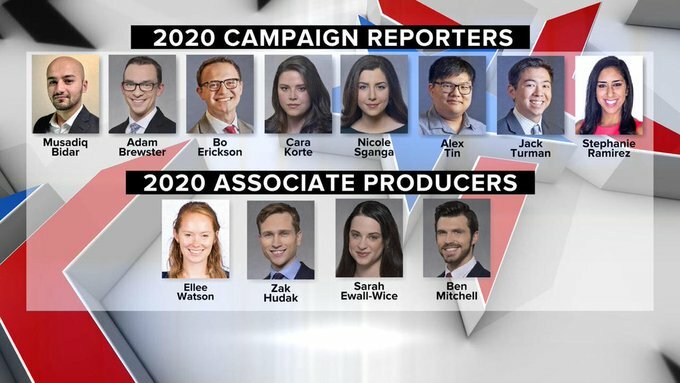 The lineup of eight campaign reporters & four producers does not have any black journalists. There are, however, several other minorities represented. Climb on The Family Tree below & share your thoughts about My Niece Kerry Washington’s calling situation. Jan 20 Controversy… White Students Mock Native Americas during Rally!!! Aug 29 WTF… Rep. DeSantis Calls Andrew Gillum an Articulate Porch Monkey! Dec 19 Facebook Allows Tech Firms to Read Users Private Messages!! !